Divorce is good for kids? You have got to be out of your mind. Kate Winslet believes that parents’ divorce can teach children how to struggle, and can hence be considered good for them. While speaking to the Harper’s Bazaar UK magazine, the 39-year-old mom-of-three, said that she tries to turn negative incidents into positive ones, adding that she wouldn’t change the bad things in her life, including her two divorces, the Independent reported. The Oscar-winning star, who has a 14-year-old daughter from her first marriage, an 11-year-old son from her second and a young son from her current marriage to Ned RocknRoll, said it didn’t matter how many times you have gone through it, since it shapes you into who you are. Winslet also detested the idea of women having to regain their toned physique shortly after giving birth, saying that she didn’t want to be one of the women who were back in shape in no time, as life was “too short” to waste time on such things. She would never want or expect her body to be the way it was, since she had had 3 children, she added. 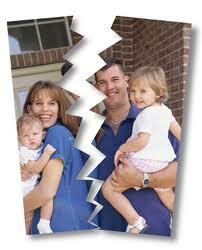 Click on the link to read Is There Enough School Support for Children of Divorced Parents? Is There Enough School Support for Children of Divorced Parents? I can’t help thinking that because divorce is becoming increasingly common that society foolishly assumes children are more than ever capable of overcoming the split of their parents. This is just not true. 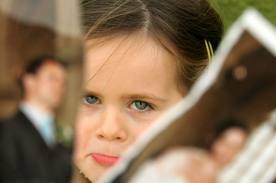 Children find it as hard as ever to reconcile the breakdown of their parents’ marriage. A parenting expert has incurred the wrath of fathers’ groups by claiming that children of estranged couples should not stay overnight with them. 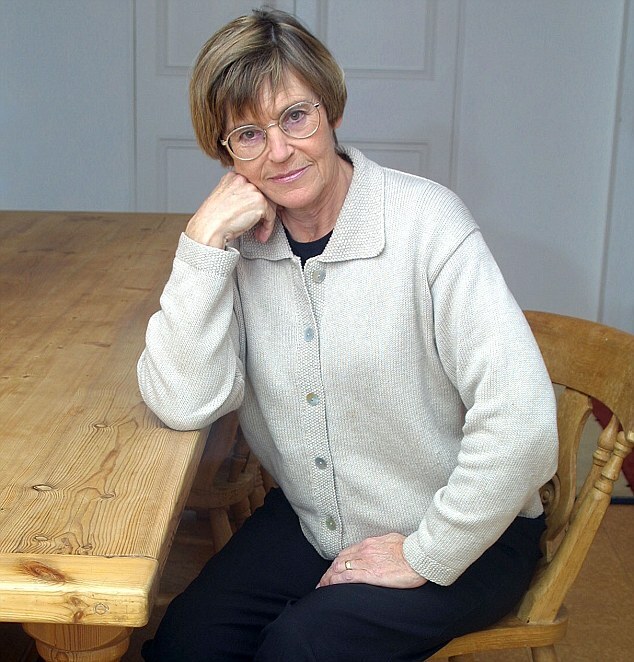 Psychologist Penelope Leach has said that generally children of separated couples aged four and under should not be parted from their mother to have a sleepover with their father. Ms Leach, whose book Your Baby & Child: From Birth to Age Five was a bestseller in 1977, said attempts to share children was putting parents notions of ‘rights’ and notion of what is ‘fair’ above what is best for the child. In her new book, Family Breakdown, she writes that there is evidence that separating children from their mothers reduces brain development, and can create unhealthy ‘attachment issues’. ‘Overnight stays with fathers from as early an age as possible is crucial if children are to form strong attachments with both of their parents. She has since defended her statements, insisting that ‘being a father is not a reward for good behaviour’. Family breakdown is as devastating for today’s children as it was when divorce was a source of social disgrace, a state-backed report warned yesterday. Even though divorce is no longer considered ‘shameful’ – as it was until the 1970s – the children of broken families continue to suffer destructive effects throughout their lives, the report said. The paper, produced by a team of senior academics, found that the damage caused to a child by divorce continues to blight his or her life as far as old age. It said parental separation in childhood was ‘consistently associated with psychological distress in adulthood during people’s early 30s’. It comes a week after figures were published showing that almost half of all children have now seen their parents break up by the time they are 15. The report said that good health depends on lifestyle conditions that it termed ‘social medicines’. Key among these is a stable family background. 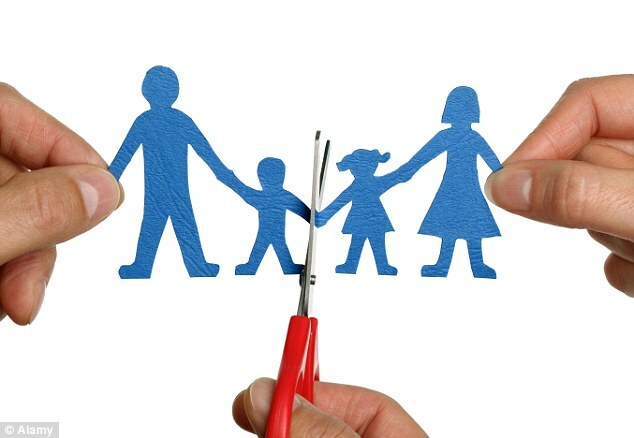 The findings undermine the claims of politicians, lawyers and activists who have argued for years that divorce causes no harm to children if parents part amicably and without conflict. ‘Family life has undergone dramatic changes over recent decades,’ the report, produced by a team led by Professor Mel Bartley, said. But it warned: ‘More freedom also means less certainty, and this has led to concerns about the impact of family stability on the health and well-being of both children and adults. ‘Family living arrangements are related to children’s physical health. I feel very sorry for children of divorced parents who find themelves the center of a tug-of-war act between duelling parents on Christmas Day. At Christmas time, like no other, family relationships are put to the test. 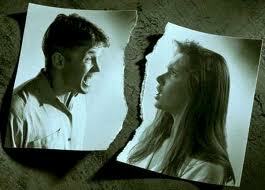 This time of year seems to bring not only a rise in domestic violence, but family tension and relationship breakdown. So much for the season of peace and goodwill. Fights over who will get the kids on Christmas Day are common, and children are often forced to spend Christmas traipsing across town to keep both parents happy. Many argue that since divorce is so rampant, children are able to adapt with the change extremely well. This is simply not the case. Research suggests that there’s no such thing as a good divorce: All you can do is have a breakup that is not as bad as it might be. A US study of 994 families identified three types of post-divorce parents: Those who were co-operatively continuing to parent together, those who were parallel parenting with little communication, and those who were effectively single parents. Children from the first group – the good divorce group – had the smallest number of behavioural problems and the closest ties to their fathers. However, the differences were only minor, and the children in this group didn’t score any better than others on 10 additional measures, such as self-esteem, school grades, early sexual activity and closeness to their mothers. It is my opinion that while divorce is a fact of life and that in most cases there is nobody to blame, it is quite distressful for the child. The fact that it is common and has also effected other classmates provides next to no comfort for the child. I believe that when a child’s parents separate the teacher must refer the matter to the school councillor (if the school has one), and spend more time with child building their confidence and displaying patience when the child plays up or has difficulty completing a task. It is not sufficient to wait until the child shows signs of anxiety or rebellion. The time to initiate support is straight away. Young children of divorce are not only more likely to suffer from anxiety, loneliness, low self-esteem and sadness, they experience long-lasting setbacks in interpersonal skills and math test scores, new research suggests. Children do not fall behind their peers in these areas during the potentially disruptive period before their parents divorce, the study revealed. Instead, it’s after the split that kids seem to have the most trouble coping. “Children of divorce also show enhanced risk of internalizing problem behaviors characterized by anxiety, loneliness, low self-esteem and sadness,” Kim said. While the negative impacts do not continue to worsen several years after the divorce, “there is no sign that children of divorce catch up with their counterparts, either,” he added. In the study, Kim discussed how the fallout from divorce might harm childhood development. 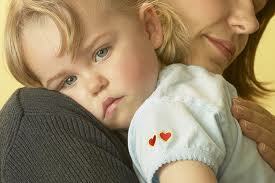 Children may be stressed by an ongoing parental blame game or child custody conflicts. This stress could be compounded by the loss of stability when a child is shuttled between separate households or has to move to another region altogether, thus losing contact with his or her original network of friends. In fact, Kim observed a dramatic change in family locations, suggesting that children of divorce were more likely to change schools. Parents’ divorce-related depression might also play a role, as could economic strains when family income suddenly drops, he said. In his research, Kim analyzed data from the Early Childhood Longitudinal Study on 3,600 children who entered kindergarten in 2008. The children were tracked through fifth grade. Over that time, Kim compared children whose parents had gotten divorced while the child was in the first, second or third grade with the children of intact marriages. While divorce is an unfortunate fact of life for many adults and their kids, it is crucial that teachers play a supportive role, offering appropriate care and displaying patience and sensitivity at all times. Just because it happens frequently, doesn’t make it any easier for those involved to adjust to and overcome. Unfortunately, divorce is a fact of life. Teachers often have multiple students from broken homes in their classrooms. It is absolutely imperative that these students get the support they need. Because it’s so common it may be easy to overlook a child whose parents just became separated or divorced. The teacher may be of the opinion that the child in today’s age should adjust, and with time, move on from the initial shock and uncertainty. They may rationalise that since others in the class have been through the same situation, there is a peer support system there for the child, and no further intervention is required. Whilst I understand that rationale, I do not agree with it. 1. It is not a teachers place to pry, make judgements and involve themselves in the personal decisions of their students’ parents. 2. The support that I am talking about is one of keeping the child in a positive frame of mind, not asking personal questions or initiating dialogue about sensitive issues. The child will have 2 homes. Meaning he/she may have to bring an overnight bag to school. It is best to have a discreet place to put the bag. The bag, I have found becomes a sort of symbol of the separation, and the child is often bashful about it. A special spot for the bag often reduces some of the anxiety of bringing it. The child often receives 2 newsletters, notices and reports. For the first few months (if not indefinitely), discretely handing out these notices is the best policy. It is best to have both parents at the Parent/Teacher meeting, if possible, at the same time. This can be a tense session and involve the former partners engaging in point scoring and blaming. It is in these sessions however, that the teacher has an opportunity to address the importance of co-operation and inclusion when it comes to matters concerning the child. Homework, books and uniforms are often left at mum’s or dad’s. When the child fails to bring money for school photos, camps or excursions it is often because one parent refuses to pay half the cost and the other refuses to pay for the entire cost. In this event, for the child’s sake, I have paid the cost out of my own pocket (without telling anyone) and have on occasion approached my boss in a bid to get the school to wave the cost. Researchers from the University of Toronto said Wednesday that they had studied 6,647 adults, including almost 700 who had been under the age of 18 when their parents divorced and found men from divorced families were three times more likely to have seriously considered suicide than adult males whose parents had not divorced. Women whose parents had divorced were twice as likely to have thought about taking their own lives, according to the research published in the journal Psychiatry Research. I recently completed a children’s novel about a boy struggling with the separation of his parents. As a guide to see if the manuscript was good enough to engage an audience, I used to read it to my students (without mentioning that I wrote it). I was always worried that the passages describing the separation may be too confronting for children who have experienced separation and divorce in real life. I was staggered to find that the opposite was true. They were the ones that connected most strongly to the story. It provided them with a voice. A voice that is buried somewhere beneath the surface. A voice that shouldn’t be dismissed, ignored or taken for granted.